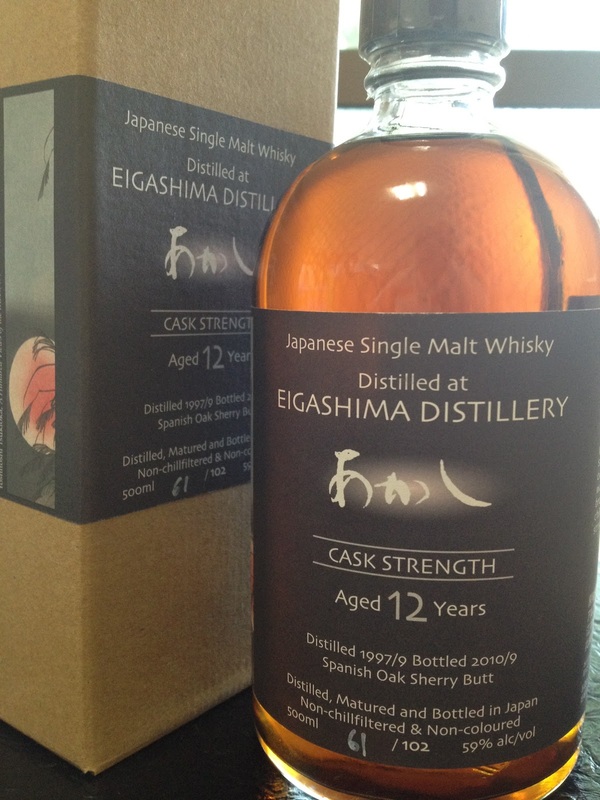 A few weeks ago, word got out that a 14-year old Eigashima was about to be released. Well, it's available now! I, for one, can't wait to try it. 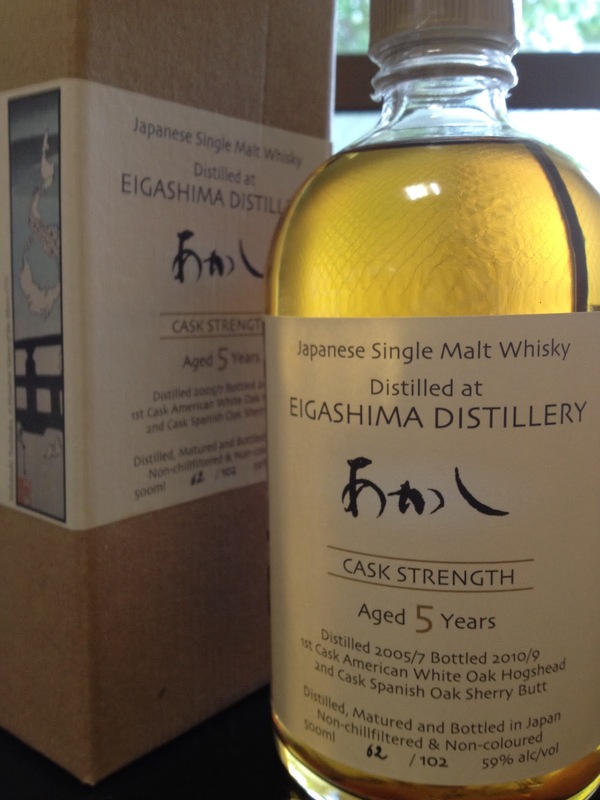 It's not only their oldest single malt to date (following on from their 5-, 8- and 12-year old expressions), but it is in fact the oldest whisky in stock at the Eigashima distillery. As some of you may know, their output is tiny. They used to distill for just one month a year, but the last couple of years they've been extending their distilling season to two months a year. The new 14-year old expression is, in fact, their 12-year old Spanish oak ex-sherry cask-matured whisky, finished for a further year and a half in an ex-Japanese white wine cask (from Yamanashi prefecture). It's bottled at 58% abv (500ml) and retails for a little over 7,000 yen (about 95 USD). I happened to be at the distillery when they were preparing to transfer their 12-year old whisky and I only saw one such ex-wine cask the day I was there. I don't know how many casks they actually used - not many, I should think, as it was an experiment of sorts, and seeing as they only have a tiny aged stock, I don't they think they would have used their entire oldest maturing stock. Private bottlings, in general, are rare in Japan. As far as Eigashima is concerned and as far as I know, there has only been one other private bottling: the 4th anniversary bottling for Bar Zoetrope, which was also a 5-year old but one year younger than the one above. There were 100 bottles of the Zoetrope release; there are 102 each of the "Luna" pair (yes, Italian for "moon"). I happen to know the person this was bottled for. Apparently, there are a handful of sets left. Those who are interested: drop me a line and I'll put you in touch. 'Nuff said. Send me a private message and I'll arrange something - tokyowhiskyhub at gmail dot com.